On June 17, 2015, a Bible study metamorphosed into a racially-motivated execution chamber at a church in Charleston, South Carolina. Nine people -- including pastor Clementa Pinckney, also a state senator in South Carolina -- were killed, allegedly by 21-year old Dylann Roof. Evidence suggests that the shooting was racially motivated, and authorities are investigating it as a hate crime. South Carolina Governor Nikki Haley has already made a public statement urging the death penalty, and political commentators across the country are rushing to frame the tragedy to support their ideological agendas. 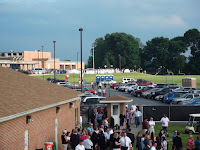 About 10 minutes before graduation was set to commence, the Class of 2015 emerged from the crest of the hill beyond Martin Meylin, processing one final time as a class before lives of independence took root. An audience much larger than some expected thanks to weather’s cooperation observed as the class filed into its seats, ushered in by the L-S String Ensemble’s rendition of the venerable Pomp and Circumstance. 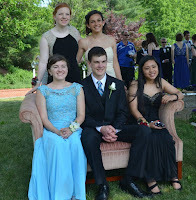 Student speaker Julia Weigel opened the ceremony by humorously recounting the seniors’ 311,320 minutes of high school … in about four minutes and 54 seconds. She commended the students’ ambitions, and urged them to live lives with perseverance – or as her family calls it, stick-to-it-ive-ness – embodying the true spirit of a Pioneer. Have you claimed your free #BearStrong Lancaster Barnstormers ticket? On Friday, June 5, all students received a voucher for a free ticket the the Saturday, June 13 Lancaster Barnstormers game. That evening for every adult Field Box Ticket purchased, $4 will be donated to #BearStrong. This spring, Lampeter-Strasburg quarterback began experiencing severe headaches and nausea. This led to the discovery of a tumor in Collin's brain. On May 12, surgeons at the Children's Hospital of Philadephia removed the tumor. Now on the road to recovery, the Shank family faces medical bills and the desire to help other facing similar situations. For more information about Colin "Bear" Shank visit his Caring Bridge page. 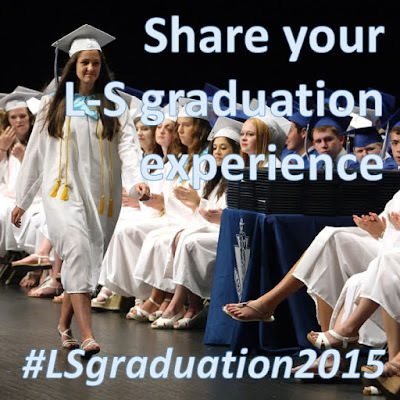 Can't make it to the 2015 Lampeter-Strasburg Commencement in person? You can watch it live on YouTube. Graduation begins at 7 pm. On Monday, June 1, 2015, during RTII, students in the freshman, sophomore, and junior classes attended an assembly in the Performing Arts Center intended to apprise them of the Mini-Thon, which is planned for next year on December 4. Matt Paich and Lillian Murr, members of the planning committee, offered brief introductory remarks before Mrs. Shehan, a social studies teacher at L-S and the event’s faculty coordinator, took the podium and explained her involvement with Mini-Thon in her last teaching job at Cedar Crest. “I’m pretty socially awkward,” she confessed.